Rent, social life, and public transport are some of the many advantages of a low cost-of-living in a mega city. There’s a unique dynamic between a low cost-of-living and taking residence in a metropolis. You may expect a city with a population well over 10,000,000 (ten million) – which boasts one of Asia’s strongest economies and stands as a world class hub of the tech industry – to be a costly place to call home. However, in the case of Shenzhen and many cities around Southeast Asia, the opposite is true. Shenzhen fits the above profile, but is in fact an extremely affordable city to live in. Having moved to Shenzhen from just outside of New York City, the most significant advantage of the low cost-of-living is the price of rent. For comparison’s sake, rent for apartments in and around New York City can exceed $1,000 per month, if not much higher; the rent at my comfortable studio apartment in Shenzhen barely scratches $300. Over the course of a one-year lease, this equates to saving thousands upon thousands of dollars! Beyond significant expenses such as rent, smaller costs like meals, social life, and public transport also help to keep your wallet’s (or rather, mobile pay account’s) balance at a comfortable amount. A meal for one at a typical restaurant will cost approximately 30 RMB, or about $4.50 in USD; a meal for two at a nicer restaurant may cost up to 150 RMB, or about $22 USD. If interested in socializing over drinks, your location and preference will dictate big variances. The price of popular domestic beers can range anywhere from 8 RMB ($1.19) to 40 RMB (about $6 USD) depending on the bar. However, if you want to be extra frugal with alcohol, you and your friends could spend a night in while enjoying drinks from the local convenience store; a large bottle (bigger than a pint) can cost as low as 2.50 RMB, or $.37 USD. Public transport is widely available and inexpensive as well. Most buses in the city run on a flat fare of about 1.90 RMB, or $.28 USD. Metro fares depend on your origin and destination, but a 20-minute ride will roughly cost 6 RMB, or $.89 USD. Perhaps everything mentioned above sounds too good to be true. Fortunately, it is all true! However, there are of course some financial downsides to life in a city like Shenzhen. The most significant detriment is the inability to save lots of money. A low cost-of-living in any city also equates to a proportionally lower salary. As a result, you simply won’t be earning enough money to save as much as you may like. To be clear: yes, you will certainly be able to save money; but, no, it may not be as much as you would like. For perspective, I am earning 15,000 RMB ($2,236 USD) per month as a new EFL teacher in Shenzhen (teachers with more TEFL experience can earn considerably more). Of that 15,000 RMB, about 2,400 RMB is dedicated to my rent (which is covered by my company), leaving 12,600 RMB ($1,878) each month to spare. This is much more than enough money to live a very comfortable – even borderline luxurious – lifestyle in Southeast Asia. I travel to incredible destinations almost every month, enjoy a fun local lifestyle, and afford typical expenses like groceries and gym memberships – all without having to stress about my money at all (though, naturally, I still do anyway). The downside is that if you are planning to return to America (like me, for example) or move to some other city with a higher cost-of-living, then suddenly the savings that were “affluent” in somewhere like Shenzhen will not hold as much value elsewhere. Ultimately, your relationship with your money is dependent on what your plans for the future are. The ratio of Shenzhen’s cost-of-living compared to your expected salary as a EFL teacher allows for a very comfortable lifestyle while you are living and working there. However, it does not allow for saving a significant amount of money in the shorterm. 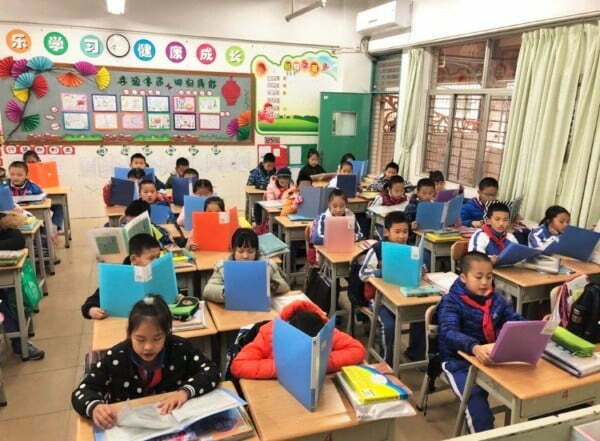 I know many other foreign language teachers in Shenzhen who intend to continue living here for years to come, or plan to continue their teaching careers in other parts of Southeast Asia where the costs-of-living are similar. If that is the case, you have found yourself in a great financial situation for a long time to come. On the other hand, if you intend to go from somewhere like Shenzhen to a location with a high cost-of-living, your savings will only take you so far.